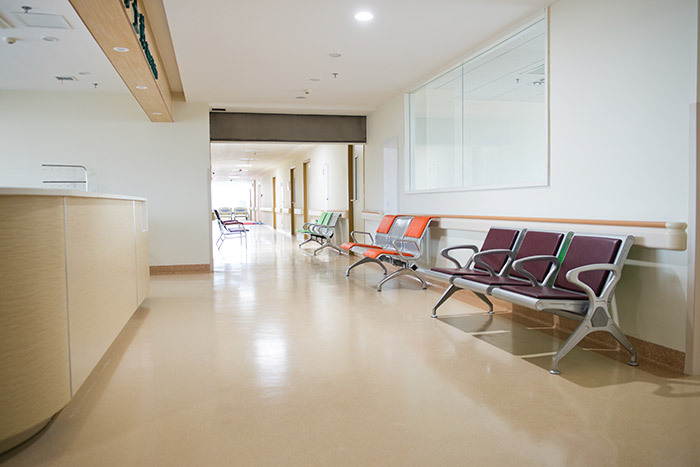 Healthcare facilities must be particular when it comes to commercial flooring. Hospitals, doctor's offices, and clinics need flooring that is safe, durable, and able to handle the abundance of patients and healthcare professionals that will scurry through the halls. At Intex Flooring, we work with you to help you decide what type of healthcare flooring is right for your facility. Whether you desire heat welded sheet vinyl for a sterile environment in operating rooms or wood flooring that evokes the comforts of home for your assisted living facility, we are here to provide quality options that hold up in healthcare environments. Our professional team works with care and precision, with a keen eye for the details that give your flooring a polished look. We place an emphasis on meeting your timeline and requirements. Our experts at Intex Flooring work with you from selection to installation. Need flooring for your healthcare facility? Get quality commercial flooring suited to your healthcare facility's needs.